CARRYING THE CORRECT PERSONAL RESCUE EQUIPMENT? A simple way to remember 4,3,2,1. by Mark Hirst | DBP MAGAZINE ONLINE The World's Best Free Whitewater Publication. During this post I want to explain a simple method that I picked up whilst watching the rescue for river runners series by Canadian river guru Jim Coffey (highly recommended). http://www.rescueforriverrunners.com Having also had the opportunity to work alongside Jim this year on a IRF workshop I have now adopted this thought process for my own personal use and for when I am teaching on courses and its super simple to remember. Most of us raft guides if we concentrate hard can just about remember to count from 4 through 1 backwards. That’s 4,3,2,1. It’s all we need to remember when thinking how much PRE we need to carry on the river. All of the equipment mentioned in this post is carried on person by myself each time I am on the water. I carry kwiklock carabiners as a personal choice option. If I need to set up a system quickly the last thing I need to be worrying about is have I screwed all of my carabiners up. Regular cleaning and maintenance will ensure the gates don’t seize. 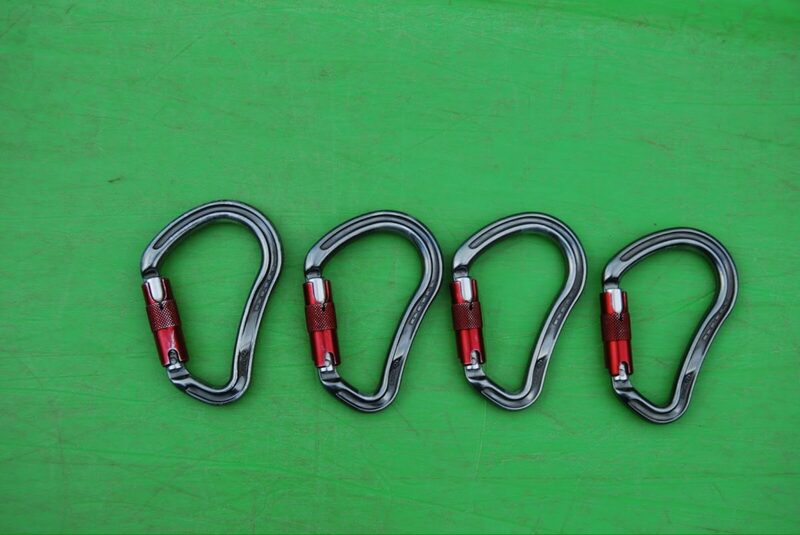 I also use HMS carabiners which allows friction hitches to be used easily. My recommendation is DMM kwiklock BOA 25kn. I carry 3 pulleys. This allows me to construct a few different mechanical advantage systems if needed. Most guides will use a 3:1 or Z drag as their benchmark MA system where only 2 pulleys are needed. Adding a third pulley as a change of direction at the anchor end of my system will allow the haul team to haul at a different angle than the direction of pull on the main system. This means that if we have a system failure my haul team are out of the way of any supersonic flying pieces of debris from the fallout of a broken system, greatly reducing the chance of somebody getting injured from a high speed flying piece of broken kit. I recommend Rock exotica mini 1:1 machined pulleys, which as an added bonus are also prusik minding pulleys (which means I don’t need a prusik attendant minding my MA system). 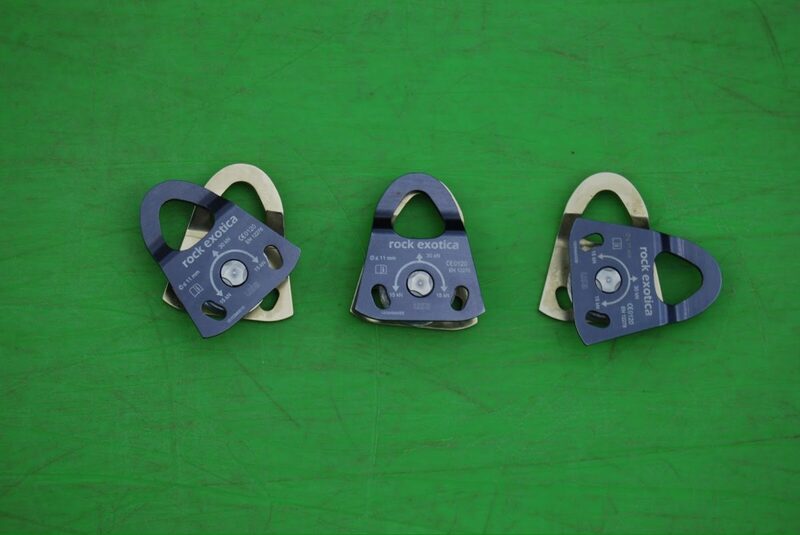 The rock exotica mini pulleys are also strong small and compact, taking up very little room in your PFD. Prusiks can be used as the progress capture in a mechanical advantage system. One of the main problems guides encounter is carrying prusiks that are too thick. A good way to test to see if your prusik is the correct thickness for your main line is the pinch test. Simply pinch a bite in your prusik. 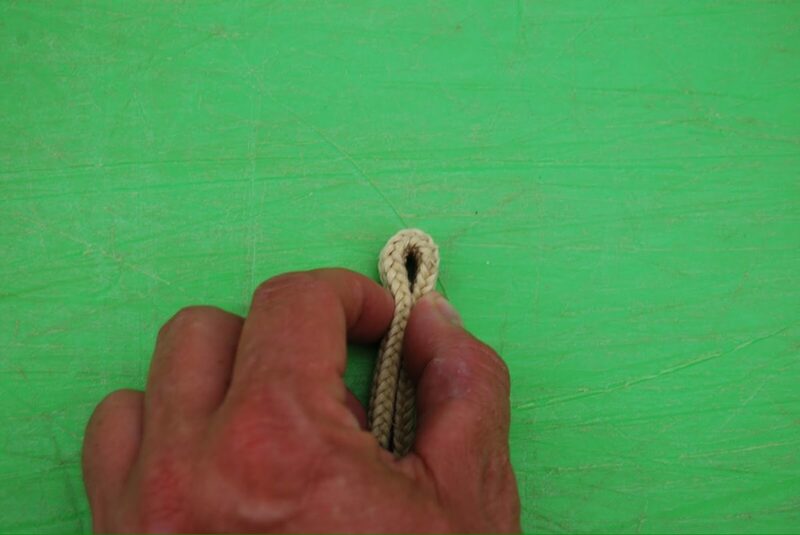 If the diameter of the hole is thinner than your mainline your pusik will work. If the hole is bigger than the diameter of your mainline your prusik will not grip your main line. I recommend Sterling ropes hollow block 6.8 sewn loop. Sewn loops are stronger than traditionally tied prusiks that are tied with a double fisherman’s knot that always seems to get in the way and takes up space in your PFD. 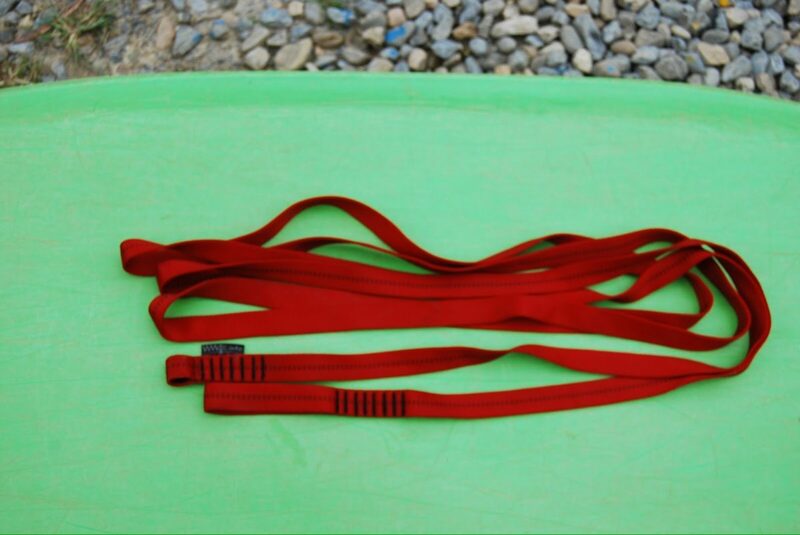 A carabiner and a prusik can also be combined with a raft or kayak paddle to be used to sink or raise a line across or under a river. My favorite piece of PRE, a true multi purpose device, is a 4m length of 25mm tubular webbing. Beside been used as a conventional flip line this piece of equipment can be used for so much more. 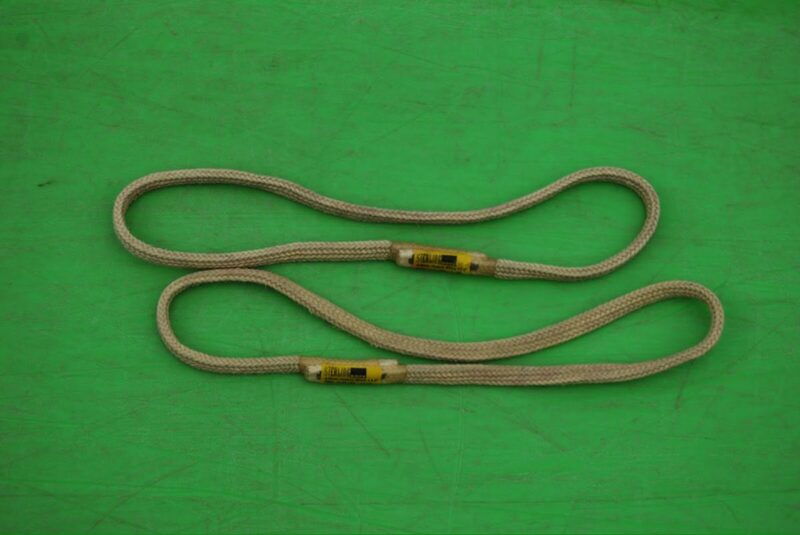 I will be dedicating my next post to this topic “101ish uses of a flip line.” For those of you with eagle eyes this is a prototype flip line myself and Gaspar from WWTC have been working on and is not available yet. Keep your eyes open for the WMD flip line in the not so far off future. A good throwbag is a must. Again, a throwbag is another MPD (multi purpose device) that can be used for much more than a throw line. I use a minimum line length of 18m as I find it’s the perfect length for me to throw effectively. I recommend WWTC throwbags. 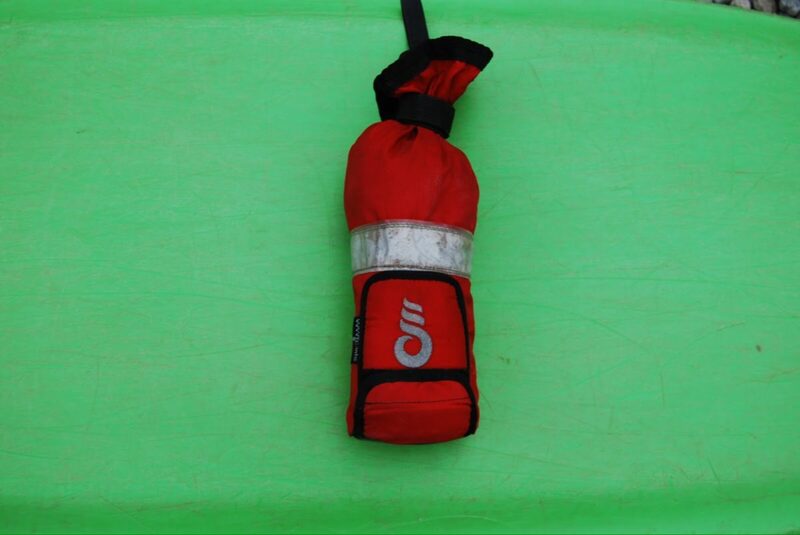 WWTC throwbags are becoming more and more popular now, with not only river guides using them but a large section of the professional rescue services. One of the benefits of the WWTC bags are the optional carry system that has a added pocket that enables you to carry some of the above mentioned kit. With that amount of PRE and the correct training you would have plenty of equipment to solve most problems on the river. If I get enough requests I will publish a post on advanced river rescue kit. 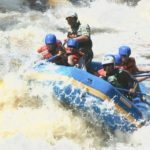 EDITOR’S DESK- As Mark indicated in the article, he is a world class whitewater rescue and safety instructor who has offered courses in locations ranging from Morocco to Nepal, his current HQ. He’s contributed articles in the past to The Mag, and has started a new blog of his own which is well worth a read and follow, if you’re a whitewater professional.